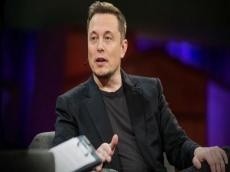 The Pentagon is reviewing Elon Musk’s federal security clearance following the billionaire’s marijuana toke on a California comedian’s podcast in September, according to a US official, Trend reports citing Bloomberg. A SpaceX official, who asked not to be identified, said the review hasn’t had an impact on the company. SpaceX’s day-to-day operations are run by President and Chief Operating Officer Gwynne Shotwell. The company has won contracts for national security space launches since Musk’s podcast incident, including one for three launches on Feb. 19 for $297 million. James Gleeson, a spokesman for closely-held SpaceX, declined to comment. The security refiling may be the least of Musk’s issues after a tumultuous week in which he got into another spat with the US Securities and Exchange Commission over his tweets about Tesla Inc., unveiled cheaper versions of Tesla’s electric vehicles and caught investors by surprise with plans to close auto showrooms. He also watched SpaceX launch a new spacecraft designed to ferry humans into orbit. Musk’s “adjudication” review by the Defense Security Service continues with no decision yet, the US official said. Typically during an adjudication a person keeps his or her security clearance but loses access to information classified as secret, according to the official. If the drug use involves minor issues or doesn’t appear to contain any serious security concerns, the unit reviewing the case could just close it and update Musk’s record. Top Defense Security Service officials are aware of Musk’s reapplication and review, said the US official, who declined to discuss the case in detail but guided a reporter through the process Musk’s review is following.